With our briskness to deliver superior quality Smart Max V3 Color Sorter with excellent finishes, we have formulated an optimum structure of quality control mechanism. This sorter provided by us is widely used for sorting of various grains such as rice, pulses, wheat, dal, etc. 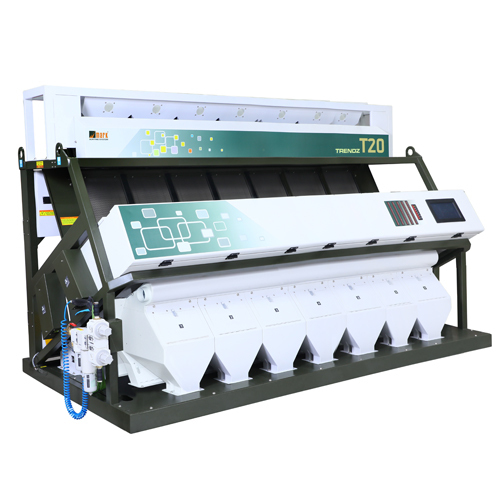 Keeping in mind set industry standards, this sorter is manufactured with the finest quality components and sophisticated techniques. Offered sorter is rigorously tested by our professionals before their production. As per the variegated requirement of our clients, we provide this Smart Max V3 Color Sorter in different specifications at pocket-friendly prices.